An abstract art gallery is undoubtedly the favorite place of every modern art lover. The term art lover subsumes every kind of onlooker, the one who buys art occasionally and the one who buys incessantly, the one who knows how to make art and the one who doesn’t. However, the code of conduct which they are ought to follow is different. No artists or art appreciator would want to cast a bad impression on the fellow art geeks and artists. Yet, individuals end up making doltish mistakes. The same happens because of them being oblivious. In fact, novice entrants face embarrassing moments more than others. Hence, in order to save themselves from any other sort of embarrassment again, they resort to reading an online blog pertaining to the art gallery etiquettes. Nevertheless, if you have been reading them, you would have observed there are ample of posts pertaining to the very generic art gallery etiquettes. Hence, in this post, we tell some of the etiquettes that are specifically for artists. So, if you are an artist, make sure you don’t move past this page without scrolling. • New artists often take an abstract art gallery invite as an opportunity to promote their art. This presumption makes them distribute their cards, make announcements, and pass brochures. Doing so, all the time makes one sound really desperate and reduces the significance of his work. So, if you are an artist, you should never do so without seeking the permission of the gallery owner. Understand that the very purpose of the art gallery or an art opening invite is not promoting your work unremittingly. Moreover, you should not drop your business card at various locations whenever you visit an art gallery. Leaving your business cards like this is highly unethical. • Another behavioral mistake that most of the artists commit is consuming the considerable time of the gallery owner. Don’t engage the gallerist in conversation which you can indulge in after the closing of the opening ceremony. Also, stop pleading him to allow you to do a show at his gallery. Abstain from showing the images of your works, until and unless the gallery owner asks you to. Let the artist make efforts to sell his art and run his business. • Many novice artists leave no stone unturned to request the artist they know to introduce him to the gallerist. However, it is recommendable for you to not to ask the artist to talk about your art and praise it in front of the gallerist to get a show at the eminent abstract art gallery. You should also not ask other subordinates of the gallerist to give you some inside tips to get a show. Asking the staff personnel to open your art website to show your art is also against the protocol. • Some artists go so low to promote their works that they literally start demeaning the work of the artists that the gallery is presenting at that time. If you will do so, not only will it denigrate your image in the eyes of every person present but will also reduce your chances of getting a show at the gallery. You get defamed even before actually experiencing fame as this will also make it hard for you to get a show at any other gallery. • Obviously, getting drunk or arriving drunk at the gallery is completely unacceptable. Talking just about yourself and your art to anyone and everyone present is also bad. Also, never post the link to your website or any promotional message in the comments or page of any art gallery, even if they have sent you an invite to the art show. Half of the things mentioned above are just considered indecent when done while attending an art show or an art opening. Showing your works to the gallerist on the normal days when the gallery is open for everyone to visit would be alright. Show some concern to your fellow artists by sharing this post with them and let us know your views on this one. 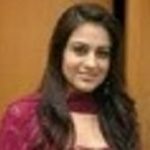 Neha Gupta is a web content writer and web copywriter specializing in SEO content and web pages. I'm currently working with Cyfuture India Pvt Ltd.